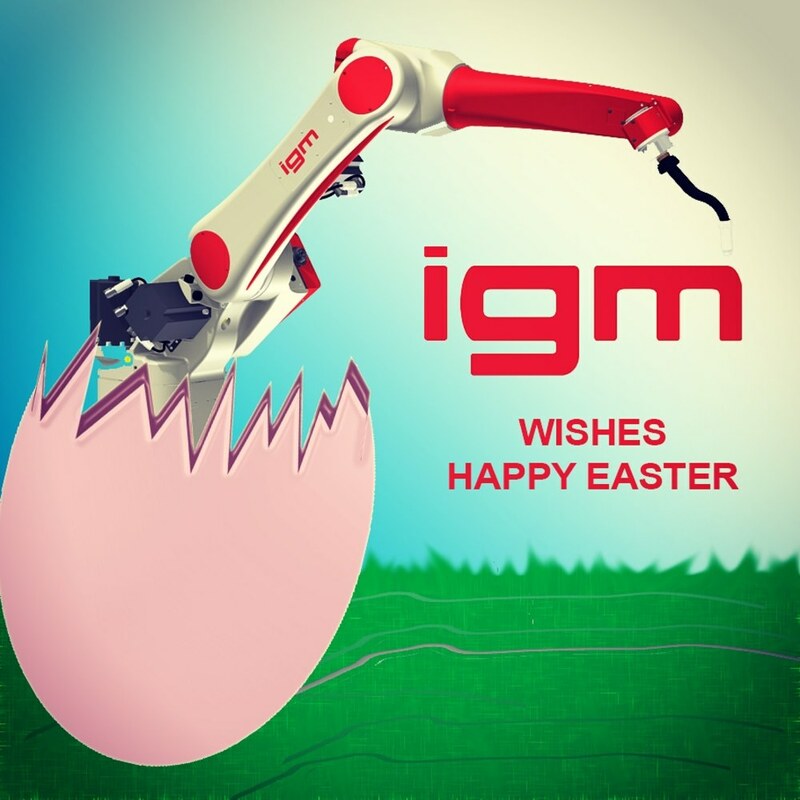 We wish you Happy Easter!! 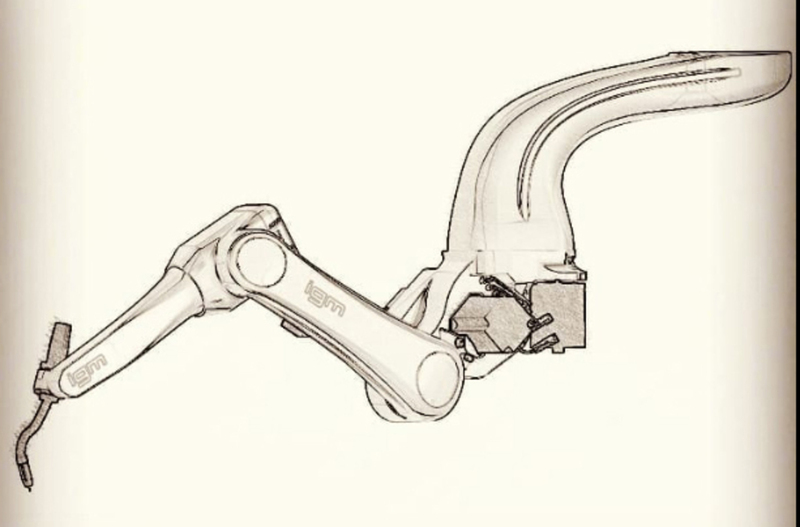 Please like, follow & share your igm robot pics with us on our account!! 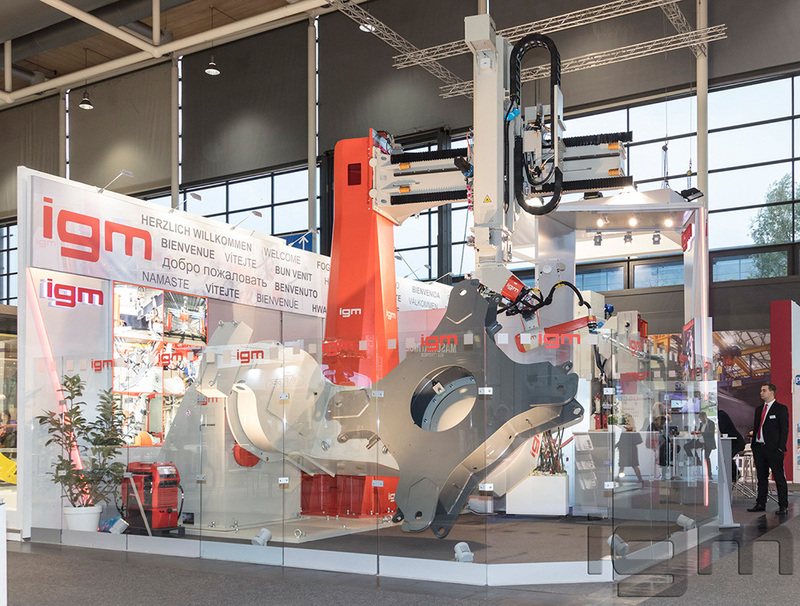 igm compact welding robot system with telescopic vertical slide on a swivelling cross slide shows the welding simulation on an impressive large undercarriage for LIEBHERR tower cranes.